Making up for the paucity of recent posts with a slew of recommendations. Noir City Sentinel. The latest issue of the house rag of the Film Noir Foundation is now available. This edition has several articles on director André de Toth, a roundup of some recent noir films, an appraisal of actor/wild man Timothy Carey, and more. Go. Give. Get. 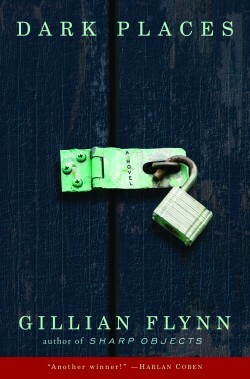 Dark Places, by Gillian Flynn (2009). Libby Day is the sole survivor of the “Satan Sacrifice of Kinnakee, Kansas,” and it’s her testimony that sent her metal-obsessed brother Ben to prison for butchering their mother and two sisters. More than twenty years later, Libby has milked the tragedy dry. Desperate for cash, she agrees to investigate the murder on behalf of the Kill Club, a group of obsessives certain she got everything wrong. Some of the final plot turns strain credulity, and Flynn has a thing for coining hyphenated words. On a single page, Libby trance-drives past dusk-black elevators that she views with kitten-round eyes. This koala-cute authorial tic can be cough-syrup-cloying, but it’s a small price to pay for a supple voice that bounces between past, present and three distinctly different viewpoints to tell a haunting story of lives teetering on the precipice of disaster long before any blood is shed. The Ancient Rain, by Domenic Stansberry (2008). An elegiac Shamus Award nominee. Ex-cop and ex-spook Dante Mancuso is drawn into an investigation of a 1970s bank robbery staged by political activists, reawakened by and filtered through the paranoia of the months after September 11. Stansberry nails the mood of 2002 perfectly, as well as Dante’s sense of bearing witness to the slow-motion demise of San Francisco’s Italian community. 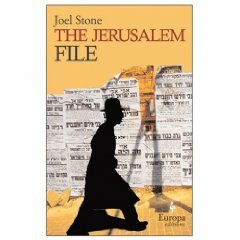 The Jerusalem File, by Joel Stone (2009). Europa Editions delivers again, with this posthumous novel by Pulitzer Prize nominee Stone. Retired Israeli state security agent Levin finds himself working as a private investigator when a sort-of friend asks him to shadow the wife he’s sure is being unfaithful. Again, the voice is the draw here, combining the world-weariness of Le Carré with the vinegar of Simenon. Or, to put it another way, it’s a tale told by God if He were in fact George Sanders. (For the record, that’s a universe I want to live in.) This brief novel is one of the best of the year. The Informant!, (2009). Proof that Hollywood does sometimes get it right. When I read Kurt Eichenwald’s book, I felt that he didn’t grasp how truly bizarre – and funny – the material was. But Steven Soderbergh, writer Scott Z. Burns and company certainly do, nailing a tricky tone from the outset. Burns’ adaptation is a marvel, deploying voiceover to great effect and paying it off at the end. Extra points for the score by Marvin Hamlisch, the pride of Queens College.